Smoking Pork Tenderloin: Smoke It Fat Side Up or Fat Side Down? Fat Side Up or Down? Which Side Is Up? I just got a gas smoker and have been told I should be smoking pork tenderloin with the fat side up by one person, and with the fat side down by another. Can some one tell me which way is correct? Making the decision to smoke meat with the fat side on top or on the bottom can be a puzzler unless you know why you'd want to go one way or the other. Fat side up - or Down? I agree with Bill - fat side up in most all smokers as the water/drip pan below will keep it moist underneath as will the juices from the fat melting off the top. I did a cooking experiment one day with the same pork loin divided in six pieces, (fat side up & fat side down) two each in oven, crock pot & smoker. Thinking slow cooking (like with pork ribs) would be best, the results surprised me. The oven & crock pot at low heat produced 'white' meat, tender and fairly moist, fat side up was most flavorful in all cases but the smoker produced a much 'darker' and very much more savory moist meat with the fat side up. Today’s pork is leaner, I suppose for the better health wise, but fat ads flavor; after all -Pastrami is nothing more than smoked corned beef and has less fat, but corned beef is typically more tender & flavorful. In most cases you can't go wrong by positioning the fat layer on top. As the fat melts, the juices drip down and baste the sides and bottom of the meat. This helps protect the fat-free surfaces of the meat from drying, and adds flavor. Some cooks prefer to smoke meats fat-down, believing that it's important to protect the underside of the meat from the rising heat, mainly in vertical style smokers that have the heat source directly under the food. When I use one of my vertical smokers, I still keep the fat on top because I feel that the water pan over the charcoal or electric element is protection enough from the rising heat. Now if a smoker tended to run at higher than normal temps, I can see how smoking fat down could be preferred, especially for meats that take a long time to smoke like briskets or pork shoulders. But in my opinion, you can rarely go wrong smoking fat side up. Just to clear up a common misunderstanding, a pork tenderloin is not the same thing as a pork loin. 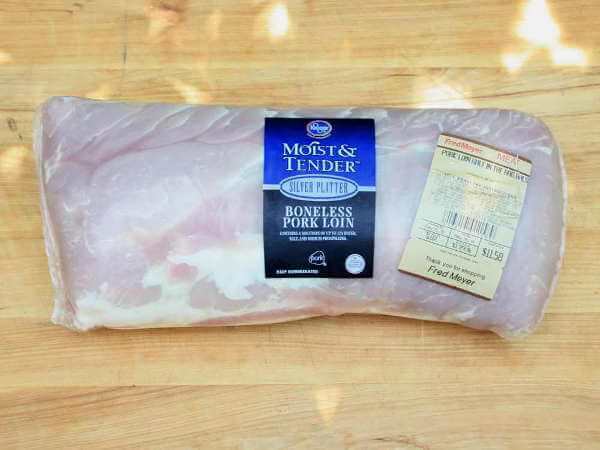 Pork tenderloins do not have a fat cap covering one side like the fat found on loins. Pork loins, on the other hand, do have a fat cap on one side. And that's the cut of pork this Q&A is referring to. 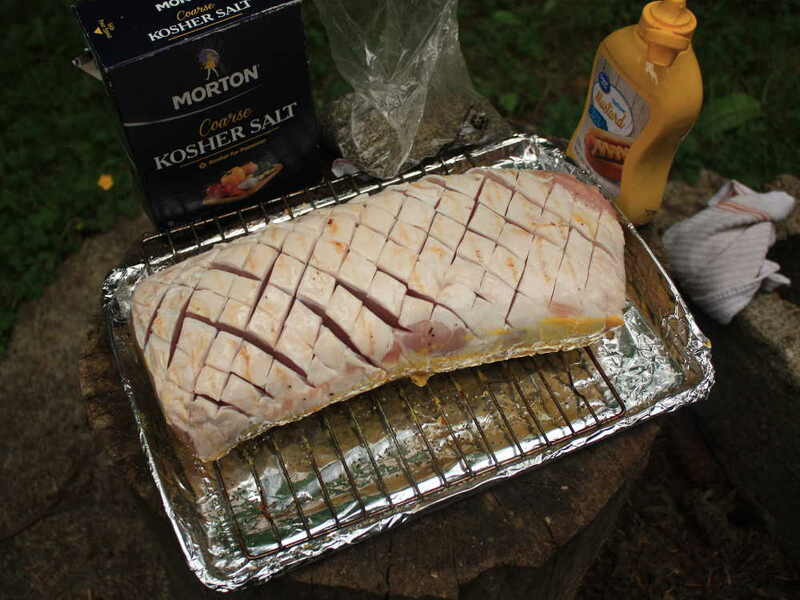 Pork loins lie along the top of the back of the hog, one on each side of the back bone. The surface of the pork loin that's under the skin of the hog is where the fat cap is. The underside of the pork loin, which trimmed away from the ribs and backbone, does not show a layer of fat. There may be a bit of fat on the underside, but usually, not much. The tenderloins are inside the body cavity, positioned on either side of the backbone. Tenderloins are smaller, and do not have an exterior layer of fat. They are much more tender than pork loins, and much smaller. Instead of fat, a pork tenderloin often has a layer of silverskin, a tough, fibrous tissue, covering part of one of its sides, along with minimal deposits of internal fat. Tenderloins require gentler cooking than the loins because of their tenderness. Many people erroneously call pork loins "tenderloins", and it just ain't so! But whichever you're smoking, they're both great cuts of meat for the smoker. 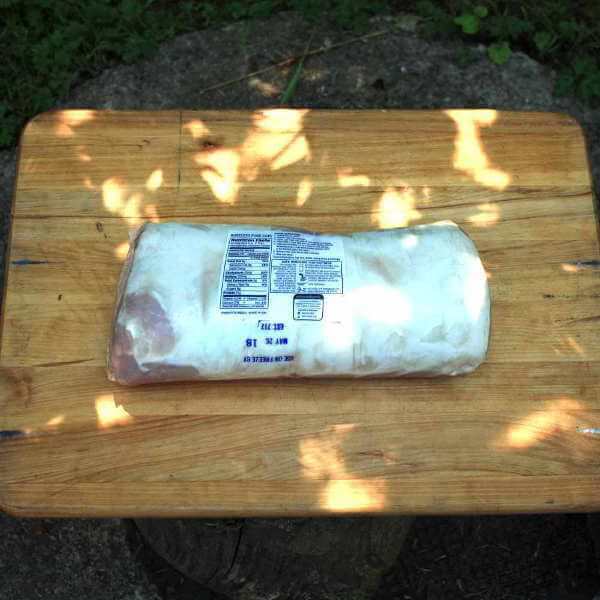 Smoker Cooking › Meat Smoking Tips › Smoking Pork Tenderloin- Fat Side Up or Down?